If you are one of the 178 million people in the United States missing at least one tooth, you have probably noticed a significant decrease in your confidence and quality of life. Despite these challenges, you might have delayed replacing your missing teeth. Often, people believe that one or two missing teeth is no big deal. However, as your dentist in Midlothian, we are here to tell you that missing teeth is a big deal if they are not replaced. All your teeth work together for proper oral function. When even one tooth is lost, there are significant changes to your oral health and quality of life. When you lose a tooth, the first area in your life to be impacted is your confidence. An incomplete smile often causes you to hide your smile. As a result, you may tend to avoid engaging socially. Not to mention, many believe the appearance of their smile plays an important role in their career. If you do not replace your missing teeth, you will not be as outgoing as you struggle with feeling self-conscious. After you have lost a tooth, your remaining natural teeth no longer have adequate support. The lack of support will eventually cause your remaining natural teeth to shift out of position. As this occurs, oral hygiene becomes more difficult. You have an increased risk for tooth decay and gum disease. Over time, your remaining teeth will become loose and may even fall out. All your teeth work together for proper oral function needed for chewing. Missing teeth make it difficult to eat. As a result, you may avoid certain foods because they are just too difficult to eat. Over time, you may suffer from nutritional deficiencies because you have had to limit your diet. When a tooth is lost, the underlying bone is no longer stimulated. This causes your bone density to decrease, which is why your remaining natural teeth will begin to shift. However, the teeth are not the only area to be impacted by tooth loss. Your facial structures will begin to change as well due to loss of bone. Now, there are multiple options to replace missing teeth. Dental bridges and dentures are affordable and convenient solutions. However, you have another option with dental implants in Midlothian. Dental implants are the only form of tooth replacement to stop all the complications of tooth loss, including the decrease of bone density. Dental implants are a lifelong solution and the only tooth replacement option to closely mimic the appearance and function of natural teeth. With a 95 percent success rate, you will permanently restore your smile, oral health, and quality of life with a new smile. 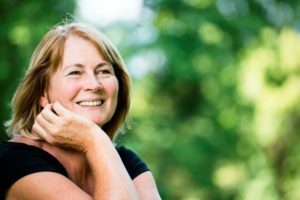 To benefit from dental implants, you will need a consultation to determine if dental implants are right for you. If you are ready to regain a confident, complete smile contact Long Family Dental today to schedule your consultation for dental implants.